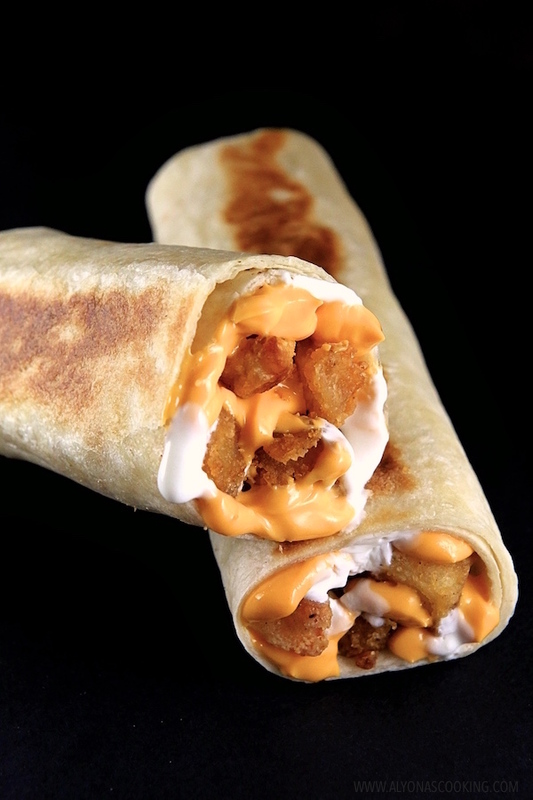 Taco Bell cheesy potato griller is filled with seasoned potato bites, cheese and sour cream. This copycat 3 ingredient filling is delicious! Even if you don’t crisp up the tortilla it’s still delicious! 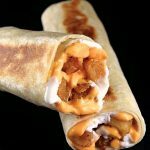 Make the seasoned potatoes in advance for a quick meal (click here for the potato recipe) and add taco seasoned ground beef to create Taco Bells Copycat CHEESY POTATO BURRITO. If you are uncertain about potatoes in flour tortillas, give these a chance! Their delicious! 2. Microwave cheese dip for 30-45 seconds and stir to smooth out. 3. Assemble tortillas by spreading; 2 teaspoons of cheese onto the lower half of each tortilla. Dollop 2 teaspoons of sour cream and top with 1/2 cup of potato bites. 4. 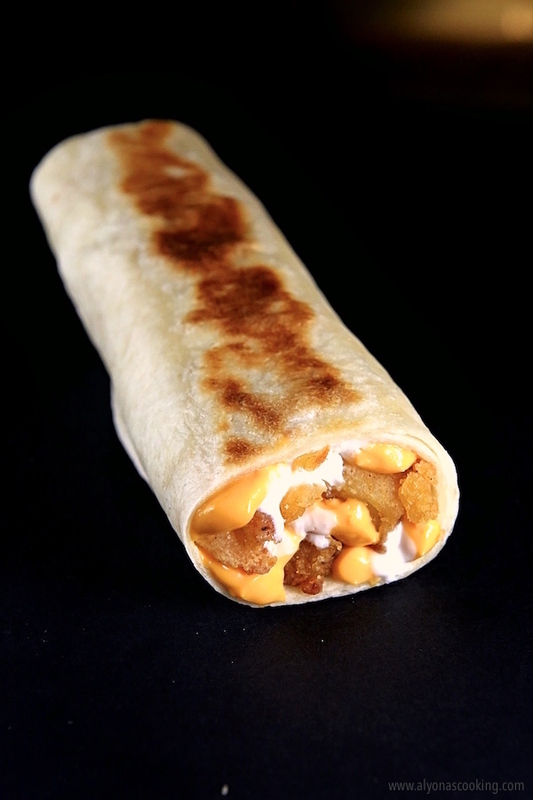 Roll and microwave for 30 seconds. Serve hot. Assemble tortillas by spreading; 2 teaspoons of cheese onto the lower half of each tortilla. Dollop 2 teaspoons of sour cream and top with 1/2 cup of potato bites.